Electoral College. How it protects us from tyranny and hijacking a presidential election. We are pleased to have Tara Ross join us to talk about her new book, We Elect a President: The Story of Our Electoral College. Our pro-family organization presents America’s forgotten history and heroes with an emphasis on our religious, moral, and Constitutional heritage. You can find out more about us on our organization at WallBuilders.com and WallBuildersLive.com. David, Tim, We are about to have, I guess it will be tomorrow that the — no, tomorrow the governors will certify, I think. And then in the next week or so, the electors of the Electoral College will actually sit down and officially vote for president. So, we think we actually voted for president but actually it’s going to happen again. It’s happening again, but it’s kind of like certifying an election. The way the Electoral College votes is, the Electoral College, contrary to popular belief, is not an independent body that shows up and exerts her own will and chooses their own person. They are limited by the Constitution and by state law, as well. And there are really several slates of electors. And so the Electoral College will cast their votes on the basis of how the state has voted. Now. wait a second. I’ve seen petitions on Facebook for people to switch their votes from the state and we vote for who you want and don’t be bound by your state and those regulations. I’ve seen this petition going around. So there is a petition. Is there a chance that maybe they’re not bound by state law? There’s a chance they’re not bound by state law. But not in the sense that that petition means. Let’s just take the Republican side. The Republicans in Texas, you get an elector in your state for each congressman. You have an elector for each senator. So, here in Texas, we have 36 Congressmen. We have two senators. We get 38 electoral votes. Now, you go to, I think, Oklahoma has five congressmen, two senators. So they get seven electoral votes. You go to Wyoming. Wyoming has one congressman, two senators. They get three electoral votes. So as many parties as appear on a ballot, they each choose a set of electors. So the Libertarians chose electors for the Libertarian Party. The Democrats chose the electors for the Democrat Party. The Republicans chose the electorates for Republican Party and whichever party wins that election presidentially, it’s that set of electors that will cast the ballot on behalf of the state to the Electoral College. So in the case of Texas, at the same time that I was elected by the state of Texas to be a member on the platform committee, I was also running as a delegate to the National Committee out of my congressional district. So in Texas, as in many states, each congressional district has three people that go to the National Convention. So we elected the three people National Convention out of my congressional district. But at the same time, we also elected one elector. So when we had all the Republican activists together in one place figuring out which of the activists are we going to send in the National Convention to support Republicans. That’s where we chose our electors. So tell me that these activists, Republicans, that have been chosen are suddenly going to be persuaded to vote for Hillary. No, no, no. That’s the Democrat electors that would vote for Hillary. The people that were sent as Republican electors–and it’s the same with the Green Party, is the same with every other part of the Constitution Party. They’ve all got their electors. And so if that party carries that state, that’s who the electors are. It’s not like the governor chose 38 people from the state of Texas that are all independent minded folks. No, they’re there to represent the candidate they had on the ticket. So they are the electors of that candidate. So the notion of having a petition in which you’re going to get 60 electors to peel off for Hillary instead of Trump. Ain’t gonna happen. I mean if that happened in Texas to even one that person would have to go back and face all the Republicans in that congressional district not to mention in the state and you think they could survive politically in that atmosphere? They would never again get elected to be a janitor for a Republican precinct meeting. And every time that I’ve been in there and seen that happen with the elector being chosen in that congressional district, all the people running for that are talking about how many years they’ve been in. In the case of the one I was at, a Republican, in all the things they’ve done to elect a Republican. So, you’re not talking about somebody just walking in off the street to try and get chosen even at the convention. I mean these are usually activists that have been involved for decades. And you’re exactly right. Rick. These are people who have had years in the trenches. These are not novices who come in that they don’t have a clue what’s happening. So this whole thing on Facebook as Tim mentioned, those are people who may not have even voted once in their life. And if they did, they certainly haven’t been through what used to be called a civics class where you learn this stuff. We don’t even have government classes now. I mean, it’s just not done. Or maybe they went through a modern civics class where we’re learning bad information. And that’s where we have to get back – most people don’t even know what the Electoral College is, what the function is, what the purpose is, why do we have this. “I mean, didn’t we vote already and we solve this problem?” We just don’t know basic constitutional things including the Electoral College. And why federalism is so important and why this helps to make that system work. One of the Crusaders out there, if you will, to defend the Electoral College and explain it and get people to understand why it’s important is Tara Ross. Also, from right here in Texas. And she authored a book called “Enlightened Democracy” several years ago documenting why the Electoral College was so important. She has a new kids book out doing the exact same thing. She’s going to be with us when we come back from the break. So stay with us. 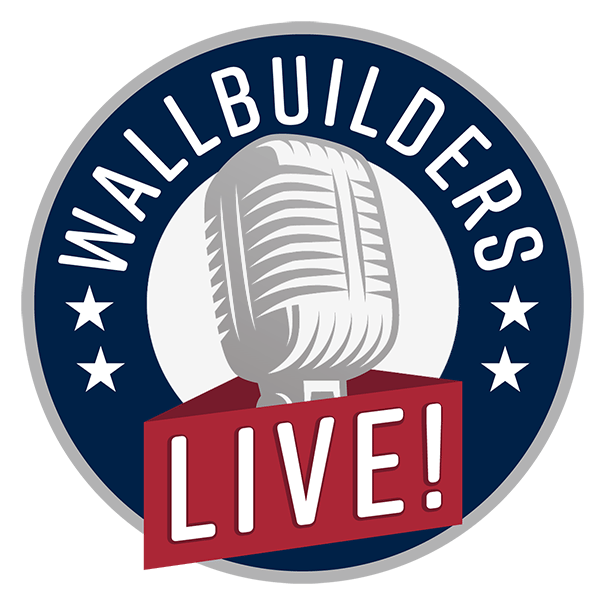 You are listening to WallBuilders Live. We call it the QuickStart guide to the Constitution because in just a few hours to these videos you will learn the Citizen’s Guide to America’s Constitution. You’ll learn what you need to do to help save our Constitutional Republic. It’s fun! It’s entertaining! And it’s going to inspire you to do your part to preserve freedom for future generations. It’s called Constitution Alive with David Barton and Rick Green. You can find out more information on our website now at WallBuilders.com. Welcome back. Thanks for staying with us here on WallBuilders Live! Our friend, Tara Ross, is back with us. She’s the author of “Enlightened Democracy: the Case For the Electoral College.” She also co-author of “Under God: George Washington and the Question of Church and State.” Brand new kid’s book called “We Elect a President” that talks about how we do that, how the Electoral College works and it’s done in a way that kids can understand. And frankly, I think we adults need to read the kid version as well because you’ll really appreciate the Electoral College once you do. But anyway, Tara Ross is with us. Tara, good to have you back. I’m glad to be here. Thanks for having me. In 10 minutes, we are going to save the Constitutional Republic by saving the Electoral College. You ready? Thankfully, you and some others have really, you know, defended what the Founders were all about. So first give me just a quick explanation of why you think it’s so important to even fight that battle and not just let it go. Well, I think it’s important to remember that the Founders were not trying to create a simple democracy with no checks or balances in it, whatsoever. They knew that in a simple democracy 51 percent can order the other 49 percent around and tell them to do pretty much anything. Even if it’s really grossly unfair to the 49 percent. They knew their history and they knew the history of failed democracies and they knew that those kinds of governments tend to implode. Even very large minority groups can be just tyrannized in such a system. So they wanted to create something better. And they created a government that was self-governing. But it’s got lots of checks and balances, separation of powers, and the other things that we’ve learned about. These things are meant to protect us from the dangers of majority tyranny. The Electoral College is just one of these devices. So it’s important to protect it because if we don’t, then we will lose our freedom. Some of the people I tried to talk to about this they could understand that. I understand that. So you tell her she did a great job. I will tell her! Her section, for anybody who’s listening, was intended to come up with this kind of a modern day examples that would make sense to a fourth grader or a fifth grader to explain some of them more intangible concepts in the book. I told Emma, “You know, they didn’t have iPhones or anything when I was growing up so you’re going to have to help me out.” And she did a good job! She did a great job. And by the way, for all three of your books, best place to go to get them? Well the kids book, WeElectAPresident.com and it’ll take you to Amazon. So it’s super easy. The Electoral College book is at ElectoralCollegeBook.com and the George Washington book is that GeorgeWashingtonBook.com. You can see a theme here. Excellent, excellent. We’ll have all three of those links today at WallBuildersLive.com to make it easy for folks. So let’s talk about the current situation with regard to the Electoral College and kind of this renewed now talk about popular vote. And I guess the first question, the idea of faithless electors. What’s your response to that one? Well, the people who are signing this petition, I’m not sure they understand who these electors are. These are 306 grassroots Republicans. They are people that do not want to vote for Hillary Clinton. They don’t care that she got more votes in New York and California. They’re not going to swing the election to a Democrat. These are literally different sets of people. I think sometimes people have this idea in their head that an elector is kind of this anonymous figure appointed by the state. That’s not the way it works. I’m in Texas, as you are, and when Texas went for Trump that really meant thirty eight grassroots Republicans were elected. There were another set of 38 Democrats who were waiting in the wings and who could have represented Texas if Hillary Clinton had won the state. And these are chosen at the state convention. Like you said, these are the activists, these are the people that have taken time out of their life to go to a state convention. They probably went to a county convention, and a precinct. These your true either conservative activists or Republican activists or liberal and Democrat activists. Right. These are people who have been pounding pavement, making phone calls, giving money to the party, whatever. They’re grassroots people. So they’re not going to flip for Hillary. The petition is just ridiculous. They’re not understanding how it works. Having said all of that, you know, I do think it’s healthy for us to tuck into the back of our mind that there could be a time in a place where we want an elector to act as a safeguard in our system of checks and balances. You can imagine a health crisis or some kind of new information coming out about a candidate that nobody knew. I do think we should leave that possibility open. But I also think we should spend more time maybe talking to our state and learning. We want to know who our electors are. We want to know who these people are that we’re entrusting to make decisions in emergency circumstances. And perhaps this election year has really shown us that we’ve been too flip. Myself included by the way, too flip about this, the fact that we don’t know who these people are. Let’s start with voter fraud. Why do you think having the Electoral College helps to at least somewhat control or limit how much affect fraud can have? We have a system that isolates voter fraud. Any instance of voter fraud, the effect is limited to the state in which it occurs. So that’s one thing. I mean if you want to steal an election, first of all, you need the national election to be close. Second of all, you also need a state election to be close. A state with the right number of electors, you need to be able to predict that in advance and go steal votes in the right place at the right time. Going and stealing a bunch of votes in California’s not going to do any good for you at all. Not that they stole it, but just a big popular vote total in California is not going to do you any good. You have to steal it at the right place. Basically, what it is is you know, there might be a couple of danger zones that we all suspect these swing states are important. But you can either just defend a handful of these kinds of danger zones or you could try to defend every single precinct in the country. Which is what would happen if you had a national popular vote. And it is far easier to just defend isolated spots that seem like they might be trouble. Yeah, and they could take just one major, very large city. And if you’ve got corrupt officials in just that one city, then they can run up millions of votes. Right. And so right now, we limit the effect of that. No, I’m not going to pretend that it’s impossible. Nothing’s impossible. But you just have to have everything going your way, all at the same time. If you want to be able to steal an election in our system. And that’s a great thing. And you know think something else people forget too, is if we had a national popular vote, that would mean we would have won federal bureaucracy with the head of which would be appointed by an incumbent president in charge of the election. That makes it even easier to rig an election, if you’ve just got one centralized agency. You start to think about the IRS and some of these other things that have happened. Do we really want one of federal bureaucracy in charge of our presidential to elect an incumbent party, potentially? I don’t think that is a great idea. We are protected by the fact that this is a state by state process, that state officials are in charge. And look, even if one or two states goes bad, you’ve got a whole bunch of other states. And you need things to line up just right if you’re going to steal an election. That’s a great point. Instead, you have 50 different elections, essentially. And that means 50 different entities, you know overseeing that particular election. So fraud itself, I think like you said, I mean, it can still happen in the current system. But at least it’s limited. In one particular city or one particular state can’t throw the whole thing. So how about just in terms of what it means for the type of president we’ll get in terms of them you know really having to campaign across the country and pay attention to areas they wouldn’t normally pay attention to? The interesting thing about this election year is that people like myself have been saying for years and years, without the Electoral College, New York and California can pick your president for you. And in fact, maybe just New York City and L.A. and San Francisco can pick your president for you. We get laughed off the stage half the time. But look what happened this year. Hillary Clinton. Yes. She’s ahead by a lot. But if you take away New York and California it turns out Trump has something like three million votes ahead. So she literally got something like 17- 18 percent. They’re still counting, but 17 or 18 percent of her vote is coming from only those two states and the vast majority of those votes are coming from big cities in those states. So literally, this is what we’ve been saying could happen. But for the Electoral College and it is happening right now. But the Electoral College put a stop to it. Now, this is not, I guess, our first time to have the popular vote go different than the Electoral College? That’s true. It’s probably the biggest vote difference at the individual level. The last time that this happened, of course, was in 2000 when Bush won the Electoral College but not the popular vote. I think there were a few hundred thousand votes separating the two men as I recall. In 1888 it also happened. I think 1888 is a great election for us to look at because we’re pretty free of emotional attachment to either candidate in that year. So if you look at what happened in that year it was very similar to what’s happening to Hillary Clinton this year. Grover Cleveland was over dependent on six southern states. He racked up huge landslide wins in those states. He was winning like 72 percent of the people in those states and in the rest of the country he wasn’t doing so well. So unsurprisingly, when it came time to tally the votes, Benjamin Harrison won the Electoral College, even though Grover Cleveland had won the popular vote. Well, I would argue that was a great election outcome. Grover Cleveland does not need to be elected president because six states chose him and nobody else is that crazy about him. Our system is doing what it’s designed to do. It’s recognizing that we are diverse, that there are a bunch of different states, different sized states that have different interests, different needs, different opinions, and it’s just doing its best to create a system that incentivizes candidates and political parties to remember as many of us as possible. Well, one is probably just talking to your neighbors. You know, if you’re talking about politics, anyway. Help them find information about this so they know. But two, is to pay attention to what’s happening in your state legislatures. It seems like not much is going to happen but actually, there is legislation that has been in the state legislatures for years now. I expect it will rear its head again and only have more momentum this time and they are trying to get rid of the Electoral College through an interstate compact like basically a contract instead of a constitutional amendment. Now, there may be constitutional problems with that. But for now, they are plowing ahead and they are acting as if this is something that they can get done. They have 10 states plus D.C. on board with this contract already. That’s 165 electoral votes. They have one hundred and five to go. So if this comes up in your state, then call your state legislature, your state senator, or whoever and tell them you are opposed to this and tell them why. This is literally an end run around the Constitution through this compact. It would get rid of the Electoral College. A great action step in letting your legislature know it is going to be up in several legislatures. I’ll give you another action step, folks. Go to www.Facebook.com/TaraRoss.1787 and follow her on Facebook because it’ll help get you educated. Plus, Tara you do these This Day In History stuff that’s just fun and you’ll learn so much. Another way for them to keep up with it because you also talk about which states are are challenging the Electoral College. Thanks for all you’re doing. Great information. Thanks for doing the kids book! Thanks for having me. And the kids book it’s my favorite, honestly. Well, tell Emma, “Great job.” And we’re going to have links to all three today at WallBuildersLive.com. Stay with us, folks. That was Tara Ross. We’ll be right back. This is David Barton with another moment from America’s history. In the case, Lee vs. Weisman The Supreme Court ruled that for an adult to mention the word God at a public graduation constituted both psychological and religious coercion against his students. Yet, consider the actions of William Samuel Johnson, a signer of the Constitution and one of America’s leading educators who served as the first president of Columbia College. At his graduation exercises William Samuel Johnson declared to the students, “You, this day, have received a public education. The purpose whereof had been to qualify you better to serve your Creator and your country. Your first great duties, you are sensible are those you owe to Heaven, to your Creator and Redeemer.” Founding Father William Samuel Johnson believed that a public graduation was an appropriate setting to remind students of the duties which they owed God. For more information on God’s hand in American history, contact WallBuilders at 1 800 8 REBUILD. Welcome back to WallBuilders. Thanks for staying with us. Thanks Tara Ross for joining us as well. David, Tim, so much about this that we just don’t know. I used to joke in my constitution classes that Electoral College– that’s the school that all presidential candidates have to go to before they get on a ballot. And I think a lot of people might actually think that. Well, let’s just lay it out real quick. At the Constitutional Convention, you had 13 states there. And three of those states had more population than the other 10. If you took New York and Pennsylvania and Massachusetts, those three states had more population than the other 10. And the other 10 said, “We don’t like this. I mean, you three guys can get together and choose every president.” And so that’s where Roger Sherman of Connecticut, who’s from one of those little tiny states, came up with the Electoral College and said that you know, we have the House of Representatives which represents the people. We have the Senate which represents the states. So, let’s do it this way. Not only do you have to win enough of the people’s vote like the House of Representatives kind of stuff. You also have to win enough for the state’s votes like the Senate. And you put those two factors together and you have to win enough of the population and enough of the states to be chosen president. Other than that, you could, as Tara pointed out, you could go to this thing and have 18 to 20 percent of Hillary’s vote come from two states. Well, you throw on a few more states and you’ve got the majority there. And so 10 states can say to the other 40 states, sorry guys we’re on the coast and we have all the big cities and we’re going to choose who the presidents are from now for the next hundred years. No, no, no. That’s not what you wanted. And so that’s what the Electoral College was all about was making sure that Oklahoma had a voice and not just New York and California. Making sure that Iowa had a voice and not just Atlanta and Phoenix and that’s what it was all about. So it’s a really good deal. And when people like Barbara Boxer, U.S. Senator Barbara Boxer drops a bill that says, “ Let’s get rid of the Electoral College.” She might as well say let’s get rid of the U.S. Senate because the Electoral College represents the states as well as it represents the population. The cool thing about this is we were hearing from Tara that her fourth/fifth grade daughter is helping her do all this kind of stuff, which made me think of something we heard a few years ago. Listen to this tagline see if it makes any sense to you, “ This isn’t Sunday school, this is Are You Smarter Than a Fifth Grader?” So you’ve got a fifth grader helping write a book on the Electoral College. And obviously senators like Barbara Boxer don’t have a clue what it’s about. And most of the media who’s yelling about this, and those who are signing this Facebook petition, have not- are you as smart as a fifth grader? Evidently not. But when you go back, this is one of the great safeguards against what she called the tyranny of the majority. But you know one of the important things, even as we’re doing this interview, is learning more about the Electoral College. Well, you have now her elementary children, elementary students that are learning about this process. And so this education is helping them know the reason it is important. Well, now when you have the majority of social media, of actual media, of universities that are talking about how bad the Electoral College is and all the things it’s– the and negatives, well, you don’t actually learn the reason it was there. The necessity of it, the significance, the importance of it. So this is where even what she’s doing with her elementary aged kids is they are learning the reason for the Electoral College and now it makes sense to them and they’re able to explain it to other people, to help them make sense to other people, who don’t understand it. It’s not that complicated if you know it. But today most people just don’t understand why we need the Electoral College. No doubt. We need to know because that’s part of protecting and preserving this constitutional republic that we have. So thanks for listening today folks! Thanks to Tara Ross for joining us. You can find out more about this and many other constitutional issues at WallBuilders.com, you’ve been listening to WallBuilders Live.